Every time you Google something (and IT professionals Google a lot of things), you’re unknowingly shaping the massive hivemind known as Autocomplete. The Autocomplete algorithm takes in nearly six billion searches every day and uses them to “learn” to predict future searches. It helpfully offers up suggestions every time you start typing in a query. This is great if you’re not sure how to spell a word, or how to word a query. 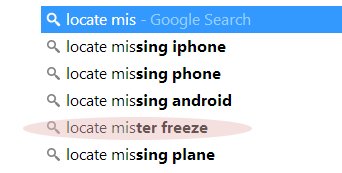 But you can’t turn Autocomplete off, so every time you search, you get a glimpse of how others use search. Sometimes it’s enlightening, and sometimes it’s just scary and weird. 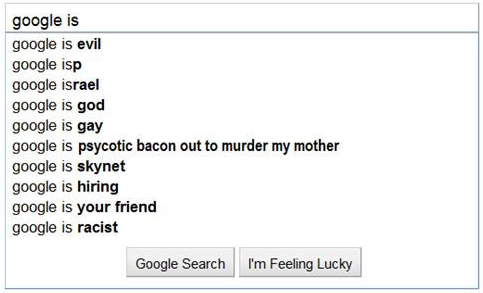 Here are 8 examples of Autocomplete going off the rails. If you think of Autocomplete as an unscientific poll, you can see here that Facebook timeline is hated more than hiccups, bed bugs, fruit flies, blackheads, dandruff, and stink bugs. 2. What Is Google, Anyway? 3. Why Can’t I Do This? 4. Why Won’t It Work? 5. What Would Happen if I Did This? 8. Could You Not Do That, Just This Once?